One of the most important things you can do is surround yourself with great people that make you better. For Aaron, it was the men and women who are very accomplished that he surrounded himself with that made him a better person through example. What would happen if we got together regularly to solve problems and come up with more ideas? Hugh Stewart was just one of those people that gave Aaron a chance to get out of his comfort zone as he struggled with new skill sets. He learned that it’s more important to be certain than to be right. Sometimes we just need to take that first step, even if the conditions don’t appear to be ideal. 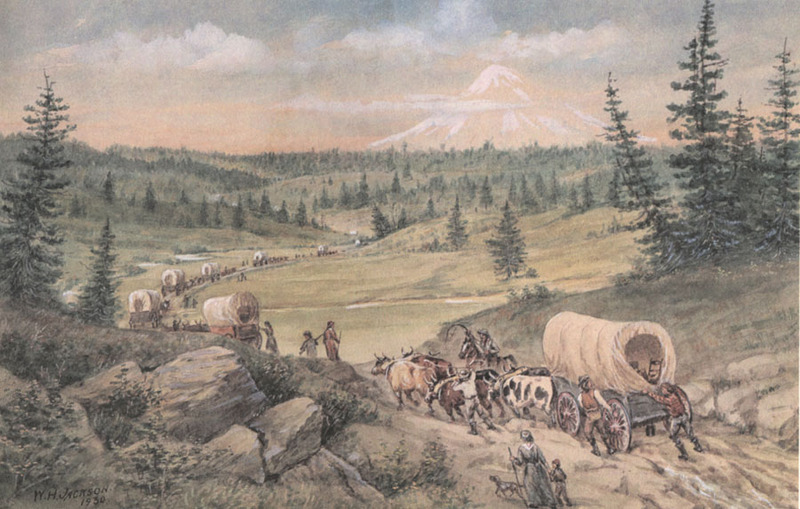 Aaron likened that to the story of Sam Barlow conquering the Oregon Trail in the 1840s. When facing the metaphorical mountains in life, sometimes it’s not about going around it, but over it. What is on the other side is worth every struggle before reaching the peak. Don’t be afraid to take steps towards your goals. Set a goal, visualize it and articulate it. Start moving towards it. It’s more important to be certain than to be right. In Les Brown’s “It’s possible” speech, there are so many tools in learning how to achieve one’s goals, which is almost never easy but ALWAYS worth it. The Alchemist by Paulo Coelho follows the Hero’s Journey in taking action towards one’s dreams for wealth and success. I found a bunch of other Brian Tracy quotes that are completely applicable for Aaron’s statement to keep moving forward.